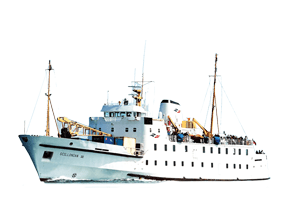 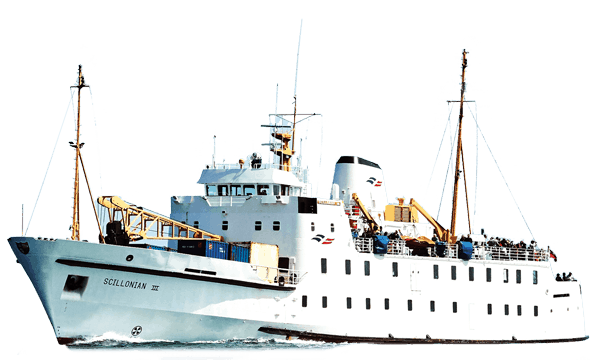 It’s possible to take advantage of all transport methods when visiting Tresco as there are connecting boats to meet Scillonian’s arrival at 12:15 and back in time for her departure. 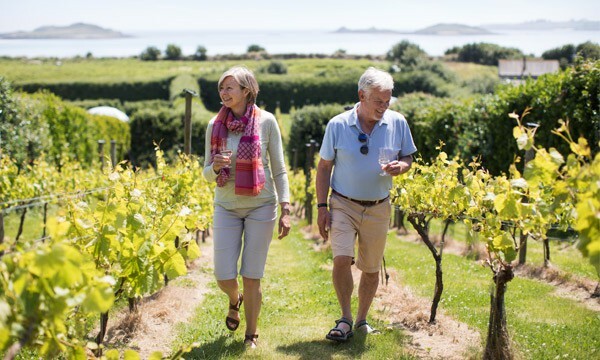 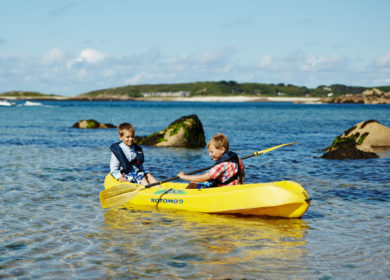 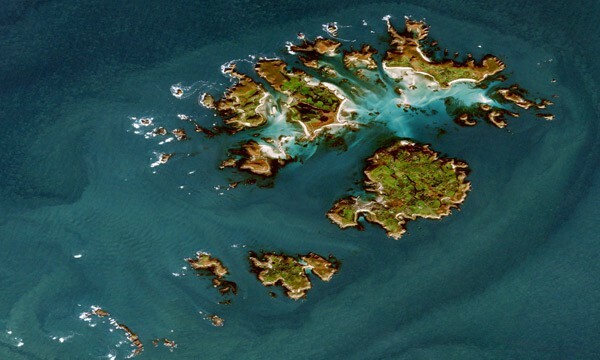 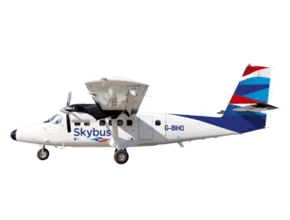 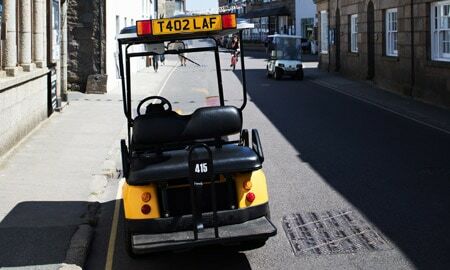 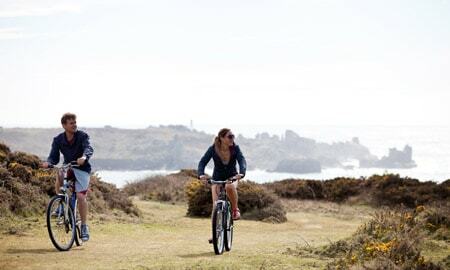 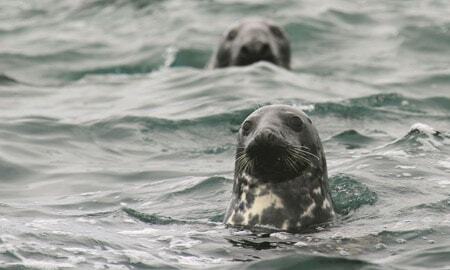 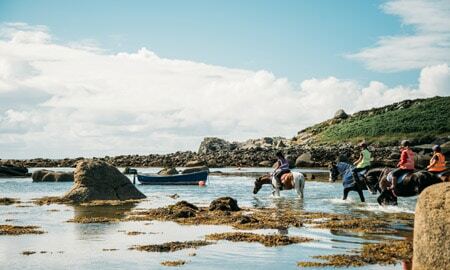 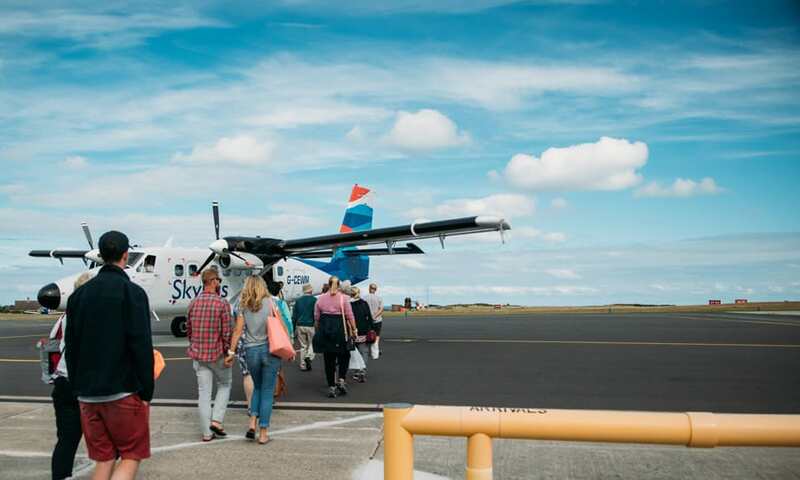 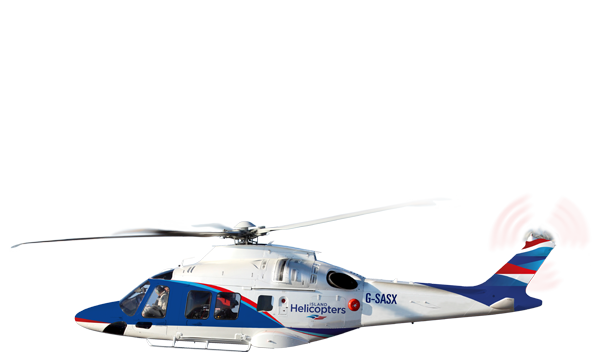 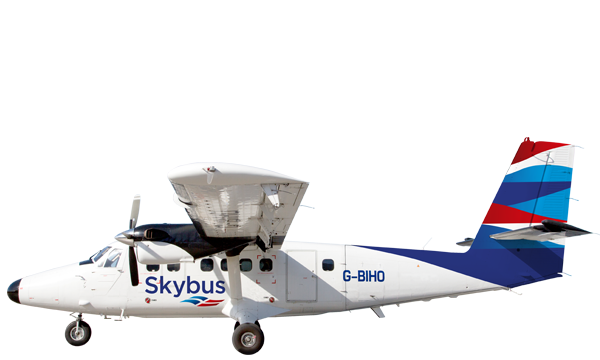 Or to make the most of your day catch the first Skybus flight from Land’s End or Newquay and you can connect to Tresco on the 10:00 tripper boat from St Mary’s. 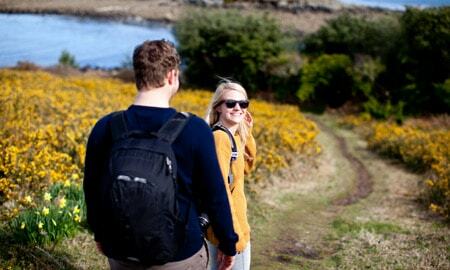 If you land at Carn Near, head up over Carn Near road and you’ll pass through heathlands of heather. 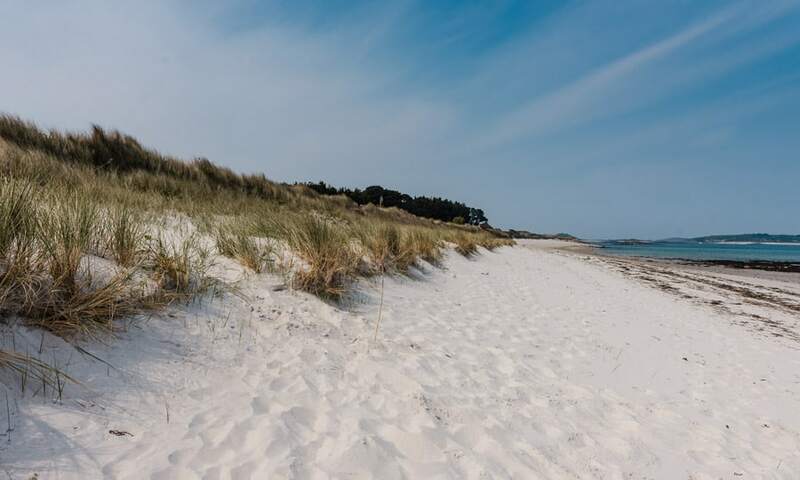 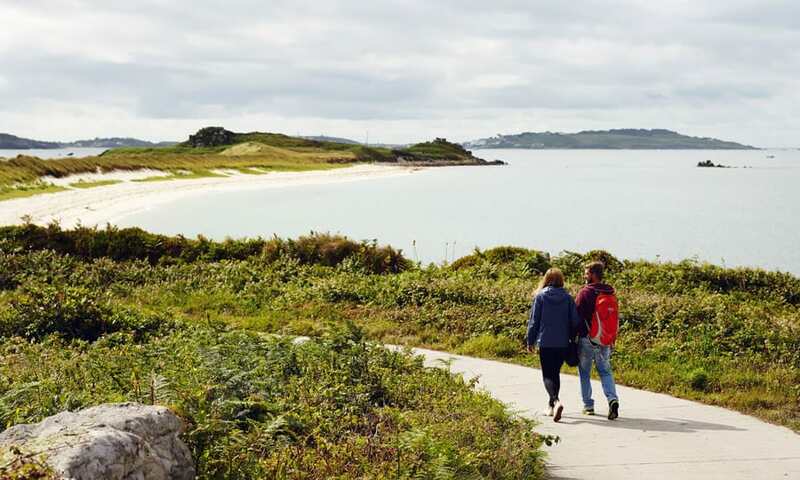 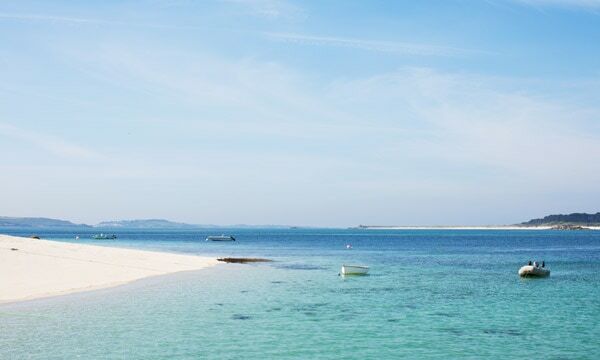 From here you’ll pass the famous Tresco Abbey Gardens and Abbey pool, take a right and aim for the coast, you’ll come to Pentle Bay, one of the most outstanding stretches of sand on the islands. 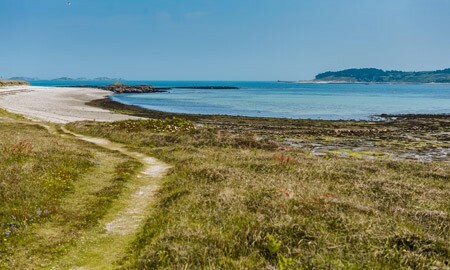 Walk across the beach and join the coast path back onto Parting Carn, this is now the middle of the island and a path of trees and ferns. 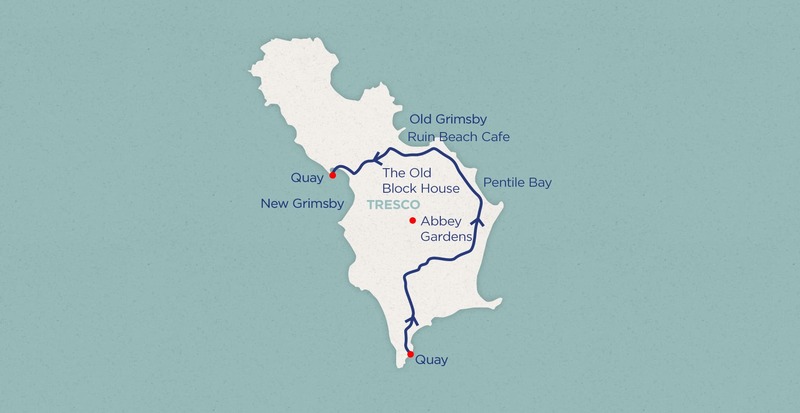 Keep following the track and you’ll see the town Old Grimsby where you can find a bite to eat before heading past the local church and to New Grimsby to meet your returning boat. 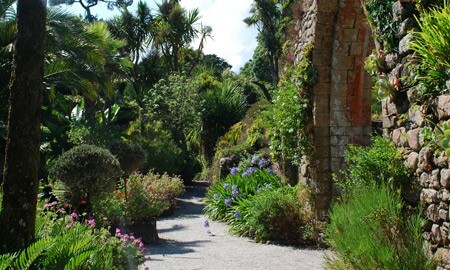 The Ruin Beach café is the place to be, it’s set in a ruin but much more cosmopolitan, with views over the beach. 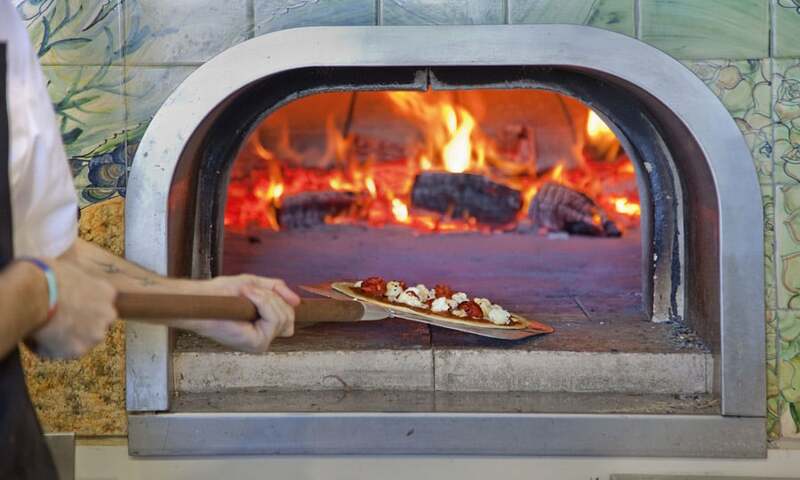 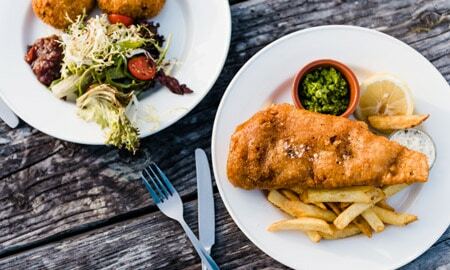 The setting is idyllic, and the food is spectacular, try the wood-fired pizzas for a real treat. 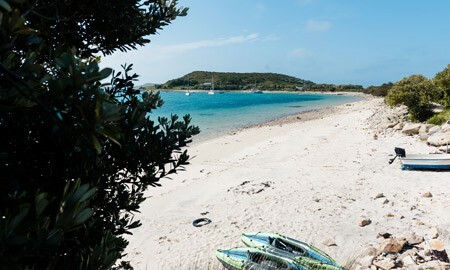 If you prefer, the islands shop has a wonderful deli full of fresh snacks and treats. 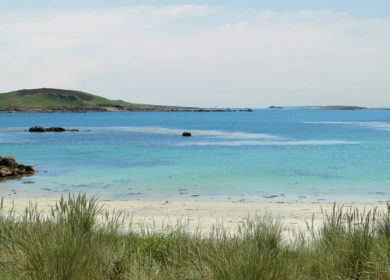 Pentle Bay is a long crescent of very pale sand and turquoise waters, the sea is extremely safe here for swimming so it’s well worth bringing a towel. 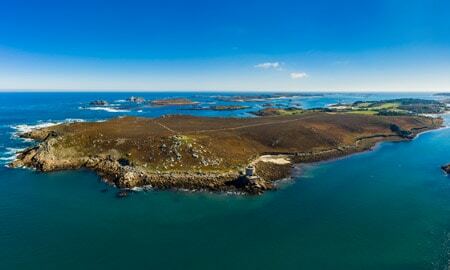 If there’s time on your route, a stop at the Old Block House for the views out to the other islands is one you won’t forget.